The CrimpCenter 36 S is a fully-automatic crimping machine that boasts high-precision crimping while reducing set-up time, for the best wire processing possible. The 6 processing stations allow different configurations at once, which means high production rates that meet tight schedules. 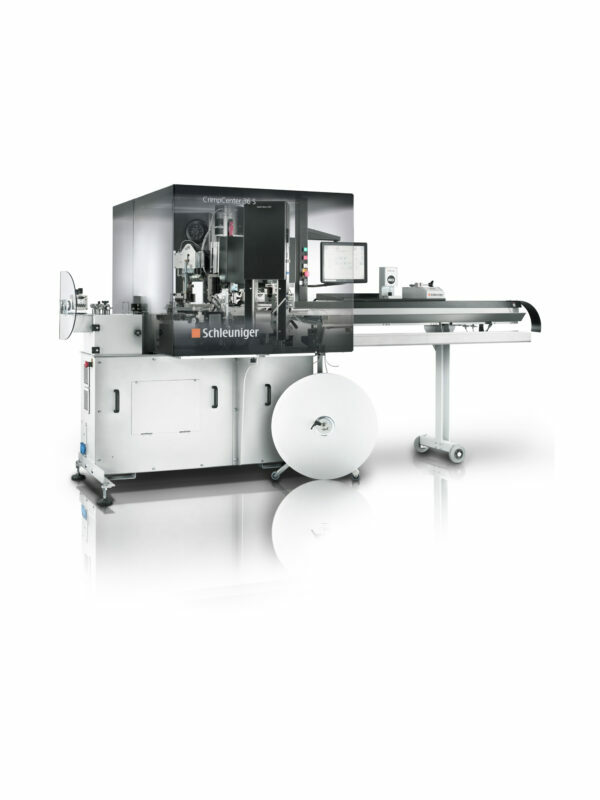 The CimpCenter 36 S can process cross sections from 0.13 to 4 mm2 (26 – 12 AWG). With its intelligent system, production parameters such as wire data, crimp data or seal data can be saved and retrieved for future use, speeding up set-up time. The intuitive, guided touch-screen interface minimizes entry errors. To read more about the technical specifications of the CrimpCenter 36 S, see the Product Information PDF from Schleuniger. Watch this short video to see this incredible machine in action.